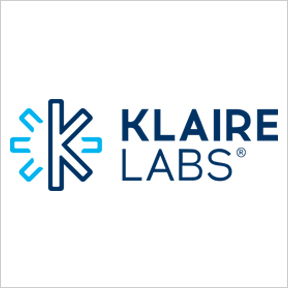 In 1969, Klaire Labs™ was founded on the premise that clean, professional grade formulations should be the model for nutritional supplements. The journey began with single ingredient supplements formulated with pharmaceutical grade raw materials specifically selected for the utmost purity and bioavailability to ensure maximum benefits, without the use of fillers or synthetic ingredients. Today, Klaire Labs’ distinguished nutritional formulations remain a standard bearer of purity, potency and efficacy. Raw materials are inspected by a quality control team before they are removed from delivery vehicles, and then go directly to a third party lab for analysis before advancing to the manufacturing process in a state-of-the-art cGMP facility. Their products are designed to address mood and cognition, healthy aging and women’s health, as well as the microbiome and gastrointestinal health. Guided by a team of highly skilled professionals dedicated to science and high quality manufacturing, Klaire Labs’ continued innovation and well respected hypoallergenic nutraceutical formulas have earned a trusted reputation among healthcare practitioners. Joint Revitalizer™: Joint Revitalizer™ is a hypoallergenic formula designed to provide connective tissue support with a blend of bioavailable compounds that work synergistically to maintain connective tissue health of joints, skin and the cardiovascular system. Ingredients include Biocell Collagen®, hyaluronic acid, chondroitin sulfate, MSM and hydrolyzed collagen type II. Free of gluten, wheat, milk/casein, eggs, fish, shellfish, tree nuts, peanuts, soy and artificial colors, flavors and preservatives. Adrenal Support Formula: This specialized formula delivers beneficial amounts of adrenal concentrate blended with specific vitamins, amino acids, calcium and botanicals in support of a healthy stress response. Free of milk/casein, eggs, fish, shellfish, tree nuts, peanuts, wheat, soy and artificial colors, flavors and preservatives. Vital-Zymes Complete: This comprehensive, high potency, multi-enzyme formula provides a complete range of plant and microbial enzymes that work synergistically to support intestinal repair and maintenance, as well as the breakdown, absorption and utilization of dietary macronutrients across a broad pH range. Free of milk/casein, fish, shellfish, peanuts, wheat, gluten, soy and artificial colors, flavors and preservatives. Contains egg and coconut. B12 Liquid 5 mg: This liquid formulation provides methylcobalamin, the active coenzyme form of vitamin B12 for rapid and efficient absorption. Crucial to the normal function of the brain and nervous system, B12 supports red blood cell function, homocysteine regulation, energy production and neurological health. Free of milk/casein, eggs, shellfish, tree nuts, peanuts, wheat, gluten, soy and artificial colors, flavors, or preservatives. Cranberry and cinnamon flavoring. This entry was posted in Home and tagged Adrenal Support Formula, B12 Liquid 5 mg, Joint Revitalizer, Klaire Labs, Professional Supplement Center, Vital-Zymes® Complete, Vitamins and supplements, www.professionalsupplementcenter.com. Bookmark the permalink.